Work to ensure safety by maintaining the bridge which carries the M4 over the A308 Windsor Road at Bray continues this week. The A308 Windsor Road beneath the bridge will be closed overnight, between 10pm and 5.30am, until Friday 21 December (Monday to Friday only). A clearly signed diversion will be in place via the A308, A332, M4 and A308(M). Work to improve journeys by converting the M4 into a smart motorway continues this week. 24 hour narrow lanes and a 50mph speed restriction will be in place until spring 2019. Work to replace the bridge joint starts this week at junction 12. Lane closures will be in place on the westbound exit slip road and the roundabout overnight, between 9pm and 6am, until Friday 30 November. Work to ensure road user safety by maintaining the drainage system along the M4 continues this week. Lane closures will be in place in both directions overnight, between 9pm and 6am, until Tuesday 4 December (Monday to Friday only). Works to ensure road user safety by replacing sections of the safety barrier continues this week. The westbound exit slip road at junction 15 will be closed overnight, between 9pm and 6am, until Friday 30 November. A clearly signed diversion will be in place via junction 16 and return. 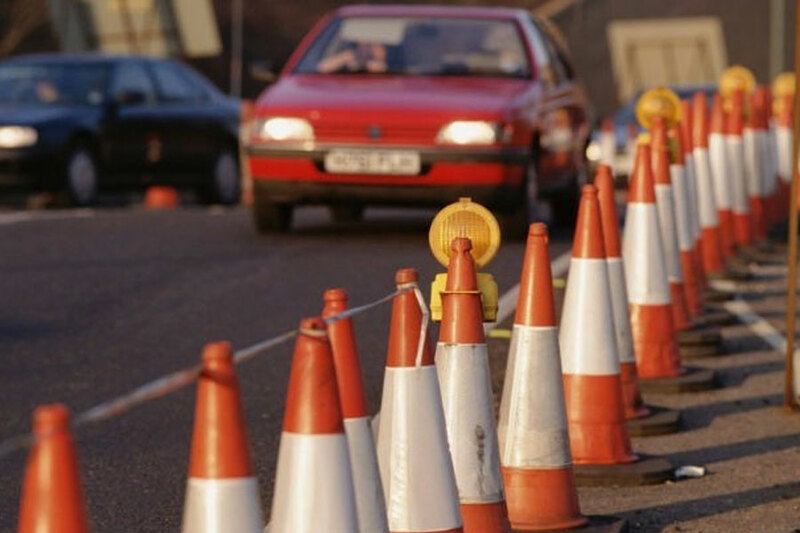 Work to maintain the northbound carriageway between the Stoke Interchange and Burpham continues this week. The northbound carriageway will be closed overnight, between 9pm and 6am, from Saturday 1 March for 2 nights. A clearly signed diversion will be in place from Compton via the B3000 Puttenham Heath Road, A31 Hogs Back, A31 Farnham Road, Onslow Street, A246, A3100 London Road and Clay Lane. Work to ensure road user safety by maintaining the street lighting at the Milford junction continues this week. The northbound entry slip road will be closed overnight, between 9pm and 6am, until Wednesday 28 November. A clearly signed diversion will be in place via the Thursley junction. The northbound exit slip road will be closed overnight, between 9pm and 6am, from Thursday 29 November for six nights (Monday to Friday only). A clearly signed diversion will be in place via the Shackleford junction. Work to improve journeys by resurfacing a section of the A31 east and westbound carriageways near Uddens Drive takes place this week. The A31 will be closed between the Ameysford roundabout and Canford Bottom junction overnight, between 9pm and 6am, for five nights from Monday 26 November. A clearly signed diversion will be in place via Wimborne Road East/West.